Today’s Flash Back Friday comes from Episode 111, October 2012. We have all had the experience of being taken advantage of at some point in our life. Con artists are often very friendly and charming. 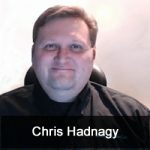 Jason Hartman is joined by author, Chris Hadnagy to discuss social engineering and framing, and how it relates to personal, business and national security issues. The discussion centers on Chris’ book, Social Engineering: The Art of Human Hacking. Chris defines social engineering as “any act that influences a person to take an action that may or may not be in their best interest.” He talks about the most important aspects of human hacking, such as influence – establishing rapport and asking for someone’s help. Other aspects include reciprocity, concessions and social proof. Chris also explains the process of framing. Our framing is our foundation, our beliefs and morals, and social engineers work to understand a person’s framing, looking for common ground.